The gendered marketing of toys is under considerable scrutiny, with consumer-led campaigns against it invariably giving rise to vigorous debates. Critics argue that gendered toy marketing is socially and developmentally harmful; defenders see it as reflecting and responding to boys’ and girls’ fundamentally different interests. In this talk, based on work co-authored with Charles Sturt University philosopher Emma Rush, I’ll explore how science can illuminate the debate, and what it means for the ethical status of gendered toy marketing. 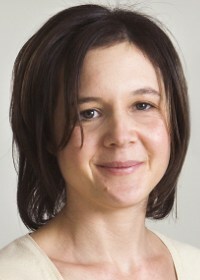 She has been described as “that rare academic who’s also an excellent writer” (Library Journal), a “cognitive neuroscientist with a sharp sense of humour and an intelligent sense of reality” (The Times), “a brilliant feminist critic of the neurosciences” (Times HES), “a science writer to watch”(Metro) and a Myth Busting Hero (CARE). Cordelia’s latest book, Delusions of Gender: How our minds, society, and neurosexism create difference was short-listed for the Victorian Premier’s Literary Award for Non-Fiction, the Best Book of Ideas Prize 2011, the John Llewellyn Rhys Prize 2010 and the biannual international cross-genre Warwick Prize 2013. Cordelia is a regular contributor to the popular media, including the New York Times, Wall Street Journal, Monthly and New Statesman. She also wrote the introduction for the Britannica Guide to the Brain. Cordelia studied Experimental Psychology at Oxford University, followed by an M.Phil in Criminology at Cambridge University. She was awarded a Ph.D in Psychology from University College London. Between 2002 to 2011 she held research positions at Monash University, the Australian National University, then Macquarie University. She is currently an ARC Future Fellow in Psychological Sciences and Associate Professor at the Melbourne Business School, University of Melbourne. Read more about Cordelia Fine. This lecture is an International Women’s Day 2016 event. International Women’s Day (March 8) is a global day celebrating the social, economic, cultural and political achievements of women. The day also marks a call to action for accelerating gender parity. #PledgeForParity is the International Women’s Day 2016 campaign theme. Take action. Make a pledge below to help accelerate gender parity. This event is co-sponsored with the London Public Library.